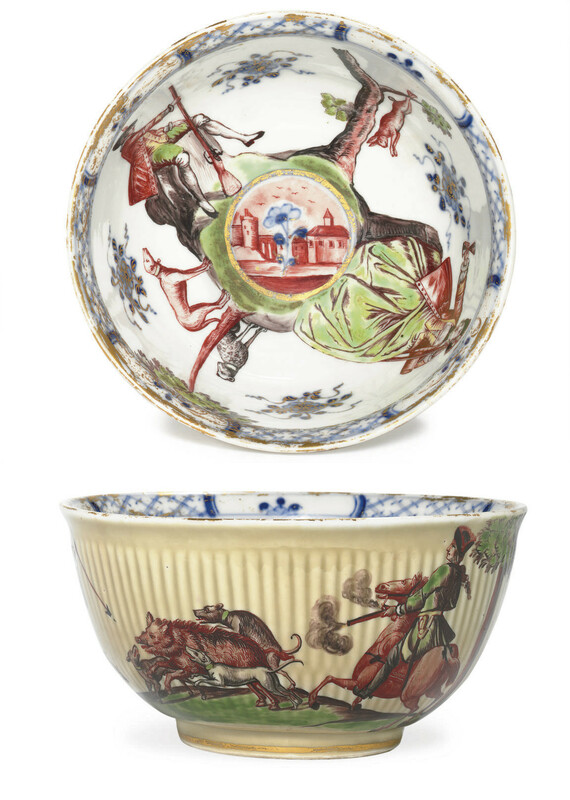 An Important Collection of German Porcelain; Sotheby's, Zurich, 2 December 1981, lot 85. Anonymous sale; Sotheby's, London, 12 June 1984, lot 127. With J. Polar Antiques, San Francisco, 25 November 1988. See J. Jefferson Miller, Catalogue of The Hans Syz Collection, Smithsonian Institution, Washington, D.C., 1979, p. 556, no. 374 for a similarly decorated waste-bowl. Examples are also found in the collection of the George R. Gardiner Museum of Ceramic Art, Toronto.